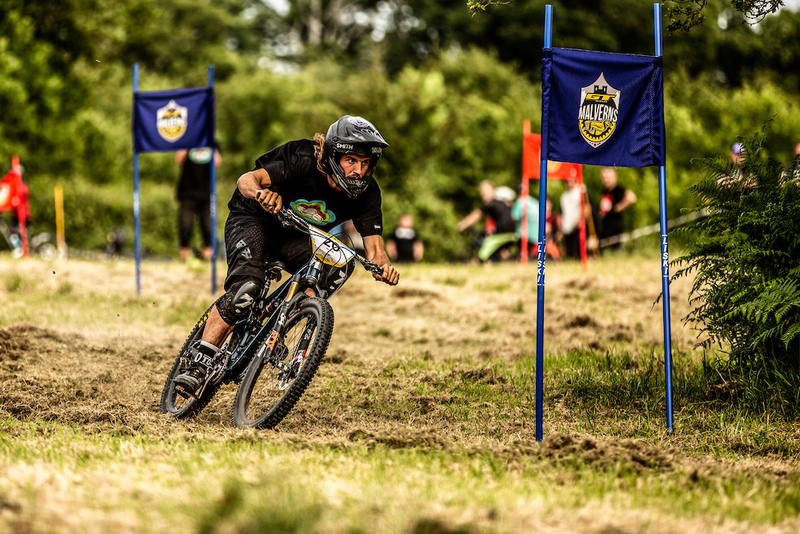 What better way to kick off the 2018 GT Malverns Classic than with what some may say is the purest form of mountain bike racing; dual slalom. 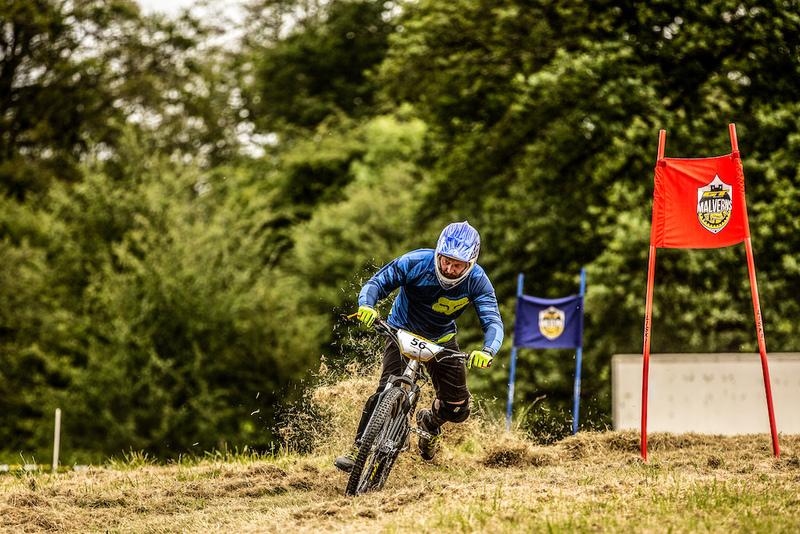 The rules are pretty clear with dual - 2 racers on the start and when the gate drops, pedal hard, carve down the hill around your designated colour flags to the finish line some 500 metres below. Racers get 2 chances against their opponent, swapping lanes to ensure a fair competition with fastest overall time winning and the slower riders dropping out in a knockout format. Before things can really hot up, competitors must set a timed run with only the top 64 riders qualifying for the main motos. So, 15:00 arrived on the opening day of the GT Malverns Classic 2018, with practice done and timed qualifying complete and the fastest 64 get paired up and ready to race. The event attracted some big hitters, the list of current or past pros too long to name but suffice to say, there was an eclectic mix in the line up - Wyn Masters, Josh Bryceland, Sam Dale, Loose dog Lewis, ex-World Cup 4X racers such as Scott Beaumont and Lewis Lacey, even Dave Hemming (an original Malverns Classic competitor) made the main race. The Ladies category was just as highly contested with nothing short of 2 World Champions, Katy Curd and Tracey Moseley entering the mellay. Then that familiar sound - ‘random start, riders ready, watch the gate’, bang goes the solenoid and the first pair are off down the hill. You’d be forgiven for thinking dual racing is a fairly non-technical affair however, allow us to paint the picture - a fairly gentle gradient indeed but, at least in the early stages, there’s barely a track visible through the wild grass and the ground underneath is rock hard from an unusual summer baking, corners are very off camber, flat and of course, pretty damn tight too. Factor in the speed required to beat your equally as determined opponent and you have a real recipe for an action-packed afternoon. There were many front wheel washouts and moments where the rear wheel tried to overtake the front, even some rather large rag dolls down the hill, fortunately, it was an injury-free afternoon of fun and frolics. 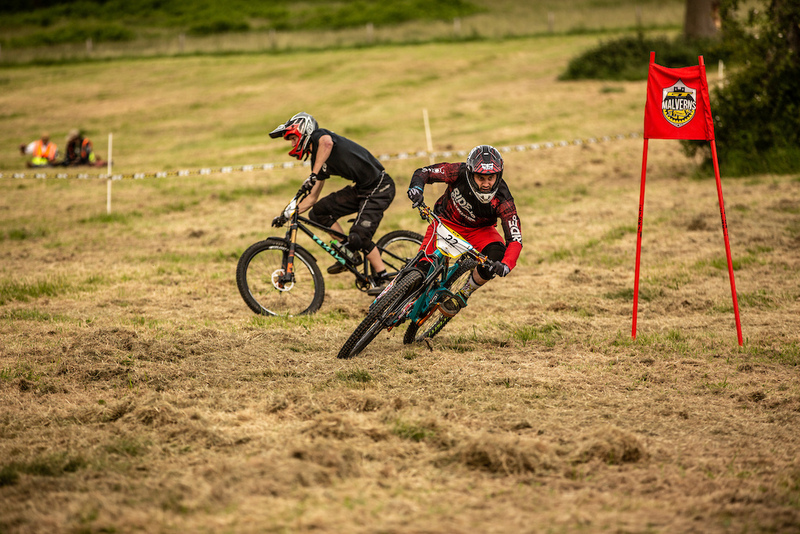 Josh ‘the rat’ Bryceland was one to watch in the early stages, his relaxed stance so consuming to watch as he schralped the flat turns with almost the inside bar on the grass. Wyn Masters was just winning his heats but seemed to turn it up as the competition got hotter, managing to scrape through against Lewis Lacey in the final 8. With such fiery competition, it was hard to tell who might make it through but before we knew it, we were down to the final 4 - Wyn Masters, Emyr Davies, Rich Webster and Sam Dale, shortly to become only Emyr and Sam to battle it out. 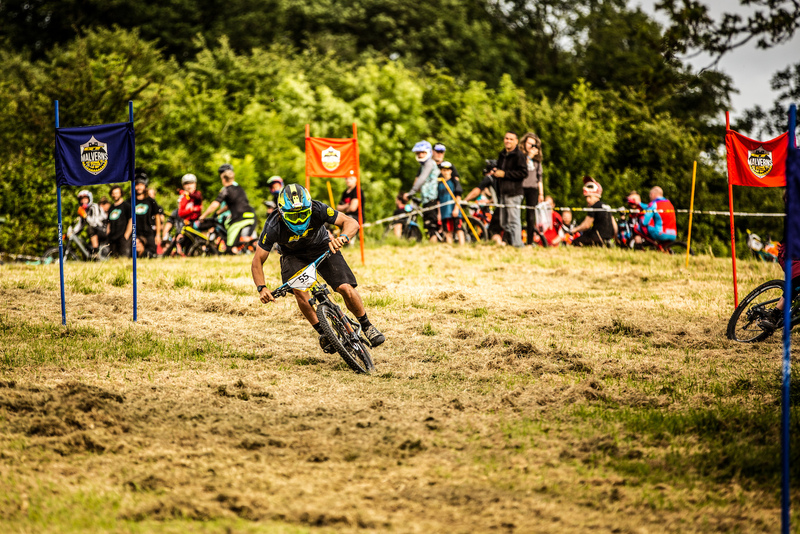 A couple of fierce runs later and Emyr was crowned the Gt Malverns Classic 2018, dual slalom champion. 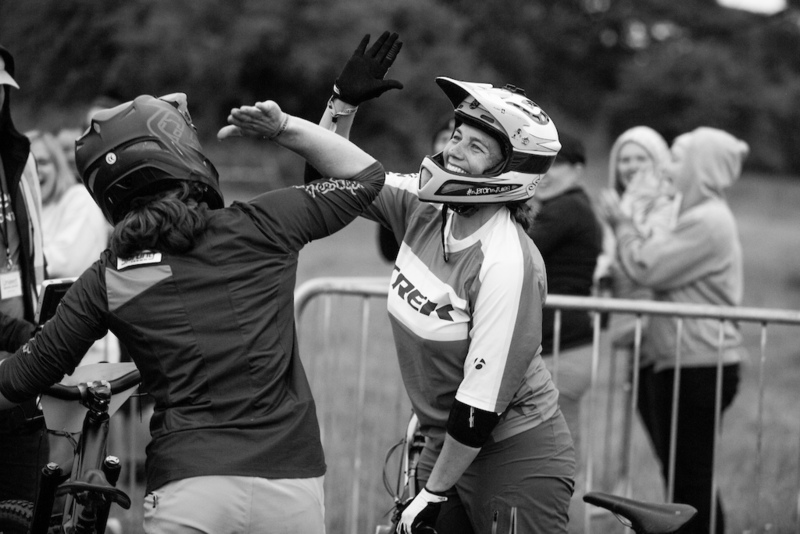 The ladies race was just as fiercely battled, ex 4x world champion Katy Curd and none other than repetitive world EWS champ, Tracey Moseley were the clear favourites. That said, a few of the lesser known girls gave them a good challenge with both Katy and Tracey sliding through corners and tucking wheels as they were pushed hard in their heats. But, the expected happened as Katy and T-MO lined up on the gate together in a real gun-show shoot out. Both ladies pushed hard and small mistakes were sneaking through, inevitable when you want the win this bad. To much surprise, and despite giving birth to her first child only months ago, Tracey scraped the win my mere hundredths. What a captivating afternoon of racing and the return of many legends to a genuinely legendary event. 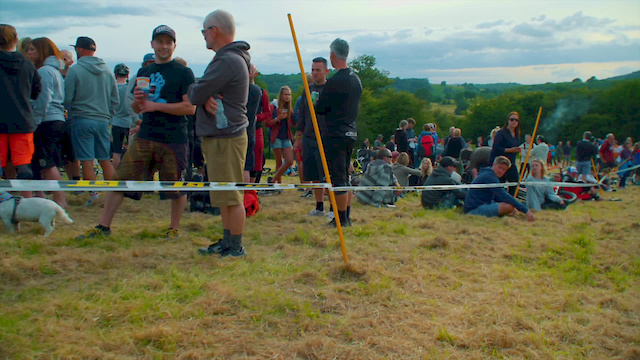 Smiles could be seen up and down the hill as the majority retreated to their campsite parties and BBQ’s whilst those left hit the marquee for some liquid dinners and live music right into the wee hours. 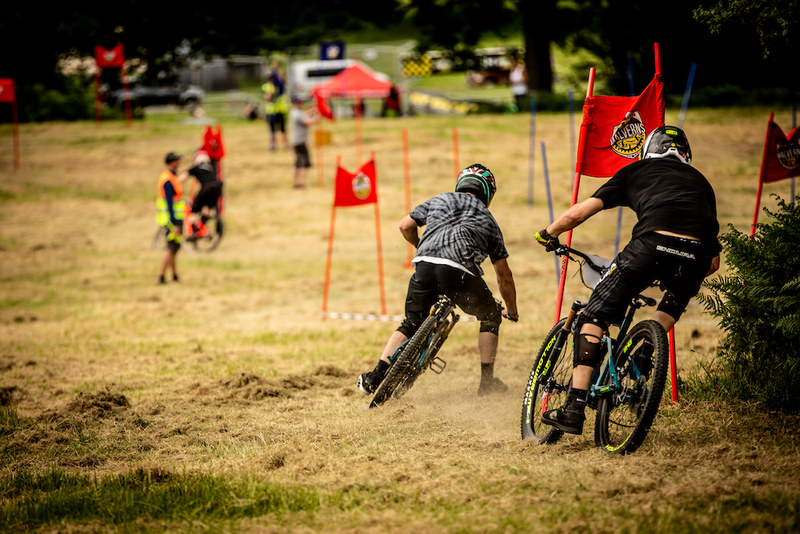 The dual slalom at the Malverns has always been naff. Nice to see the event sticking to it's naff roots. So, no constructive criticism in how it could be better, just a dumb-as-f*ck comment? Nice ??????? ?